All-round video software working as an HD video converter, YouTube downloader and slideshow maker with 370+ built-in video audio codecs. Independently convert 4K videos, MKV, AVCHD, M2TS (Blu-ray), AVI, MPEG, MP4, MOV, WMV, Google TV, WebM, Vpx8, etc. Convert videos for playing on iPhone, iPad, iTunes, Android Samsung, Huawei, Kindle Fire, Nexus, Surface, WP8, Chromecast, PS4, etc. Help users download YouTube videos and create photo slideshow to share with friends. Deliver up to 32x real time converting speed and highest possible quality. 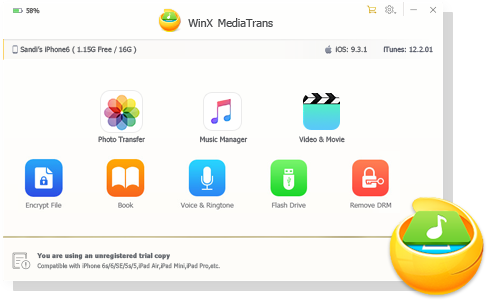 A feature-rich video converter, YouTube video downloader, Mac Screen/Camera video recorder and slideshow maker for Mac OS. Build in cutting-edge video encoding engine. Fast convert 4K and 1080p HD videos MKV, M2TS, AVCHD, H.264/MPEG-4 AVC, AVI, MPEG, MP4, MOV, FLV, etc to be accepted by Apple iPhone, iPad, iPod, Apple TV, iTunes, QT Player, Android, Microsoft Surface, WP8, Chromecast, Xbox, Sony PSP, PS4, PS3, etc. All video and audio parameters are customizable to balance video quality and file size. A well-designed video converter for mobile devices, especially for Android phones/tablets. It can convert any video to Samsung Galaxy, The New HTC One, Google Nexus, iPhone, iPad, etc. Support merging, cropping, trimming and adding external *.srt subtitle to downloaded movies, this video converter will give you a brand-new video converting and editing experience. A complete solution for playing diverse videos on iPhone among popular HD videos MKV, AVCHD (MTS, M2TS), MOD, TS and regular videos AVI, MPEG, WMV, MOV, FLV, RM, RMVB, etc, with powerful video decoder built in. It also supports iPad, Apple TV (HD) and iTunes. This program delivers an extremely easy solution for anyone seeking to enjoy their multimedia on Apple iPhone at anywhere anytime. 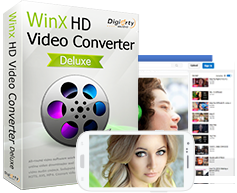 Completely compatible with all popular videos such as MKV, M2TS, MTS, MOD, AVI, MPEG, WMV, MOV, FLV, RM, RMVB, etc. Support iPhone, iPad, Mac, Apple TV and iTunes. Full-featured video software for your iPad which owns strong compatibility with all popular videos and cutting-edge technology to ensure unrivaled output video quality. It is the best helper for you to convert HD video AVCHD (*.MTS, *.M2TS), H.264/MPEG-4 AVC, MKV to iPad as well as regular video MPEG, WMV, FLV, 3GP, AVI to iPad, etc. Maximize the usage of your mobile phone now! Enjoy your favorite videos on Nokia, Blackberry, Android phone, iPhone, etc, regardless of video format. Convert HD-camcorder video MOD, MTS, M2TS, TOD, HD video MKV, AVCHD, H.264/MPEG-4 AVC, regular video AVI, MPEG, WMV, FLV, DivX, XviD, MOV and VOB for playback on your cell phones. Keep your unforgettable moment with HD camcorder and back up your precious clips with this HD camcorder video converter. It utterly supports converting HD videos recorded by Sony, JVC, Panasonic, Canon, etc, say, converting AVCHD, M2TS, MOD, TOD, TS, MTS to AVI, MP4, MPEG, iPhone, iPad, iPod, etc.